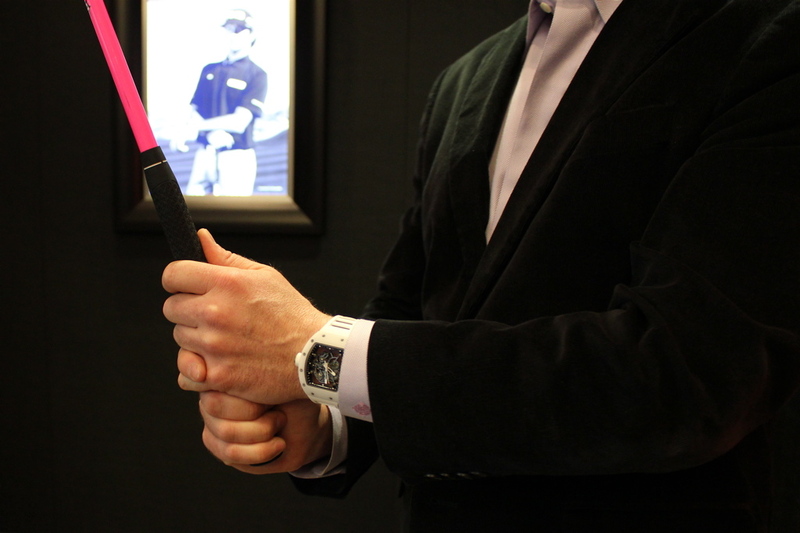 Launched in March 2012, the Richard Mille RM 055 Bubba Watson is inspired by the RM 038 Tourbillon specially designed for Bubba to wear as he golfs during PGA competition. 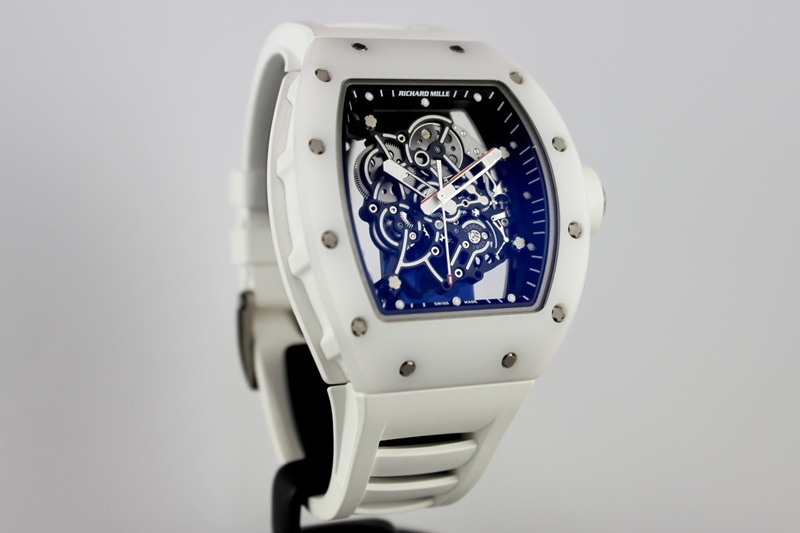 The RM 055 is a highly technical and innovative creation. It complements high-technology golf manufacturing required to design lighter golf clubs that deliver maximum energy transfer. When Richard Mille initially launched in 2001, his technical aesthetic changed the perception and approach to race-inspired timepieces. Using cutting edge innovations, Richard Mille timepieces epitomised a racing machine on the wrist. 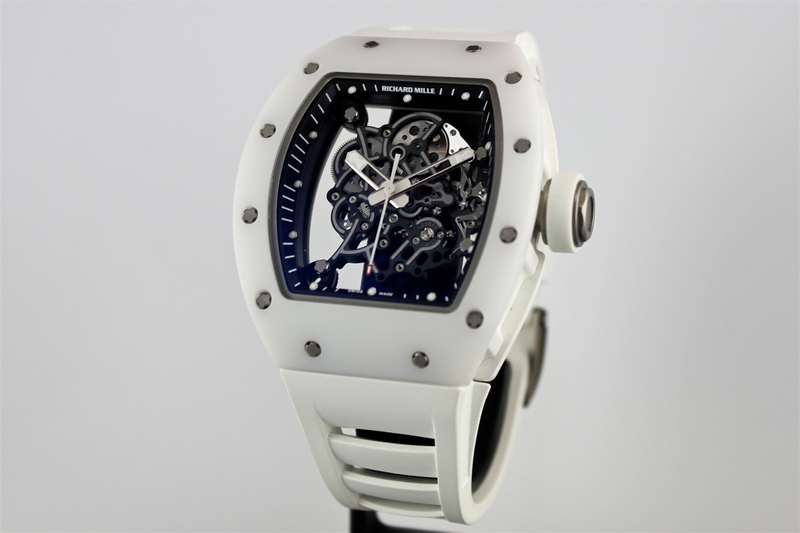 With the RM 055, Richard Mille's technical aesthetic again changes the perception and approach to the sports watch. The emphasis is on comfort, ultra lightweight and extreme durability that can hold up to the highest demands of the longest driver in the PGA. 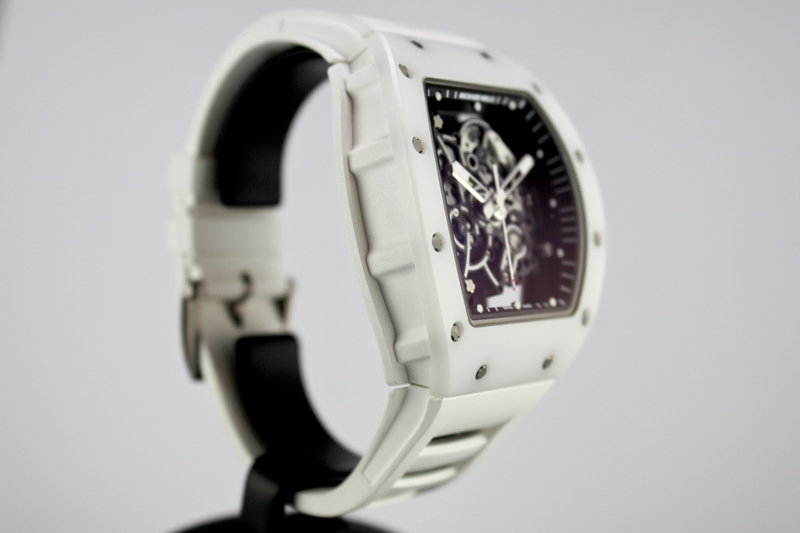 The RM 055’s tonneau case measures at 49.90 mm x 42.70 mm x 13.05 mm. Its unique tripartite construction is designed to meet the demands of professional sports. To withstand impacts, the front bezel is made of ATZ. ATZ is an aluminum-zirconium-titanium advanced ceramic membrane coated with iron oxide nanoparticles (Al2O3-ZrO2-TiN). ATZ properties include strength, toughness, high scratch-resistance (1,400 Vickers) and its unchangeable color. Next to diamond, it is one of the hardest materials in the world. Long and difficult machining using diamond tools is required to create this complex, curved bezel and satin finish. 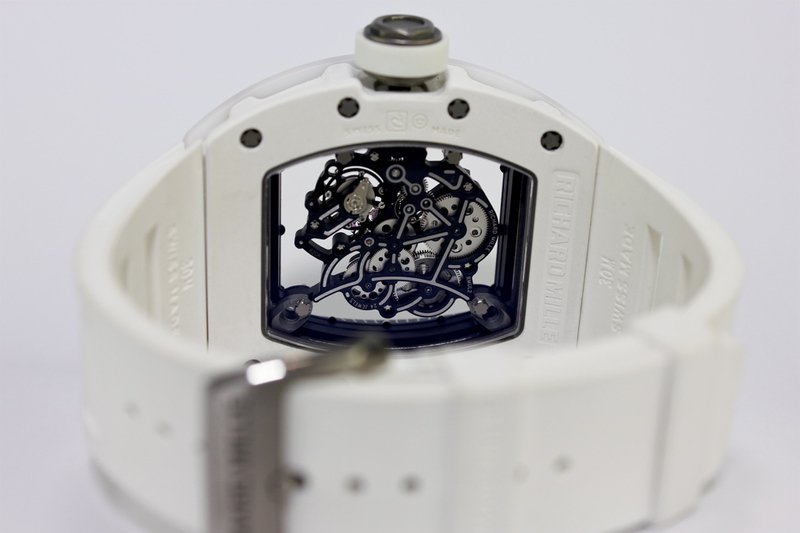 The middle caseband and caseback are made in Grade 5 Titanium with a protective white rubber casing. This rubber casing is high-pressure injection moulded around the titanium components to isolate and absorb any vibrations. The case is assembled with Grade-5 titanium spline screws: six five-point spline screws secure the three case elements together, and four four-point spline screws secure the integrated strap to the case. The case can never be mistakenly opened since only a specific four-point tool is used to change the strap. 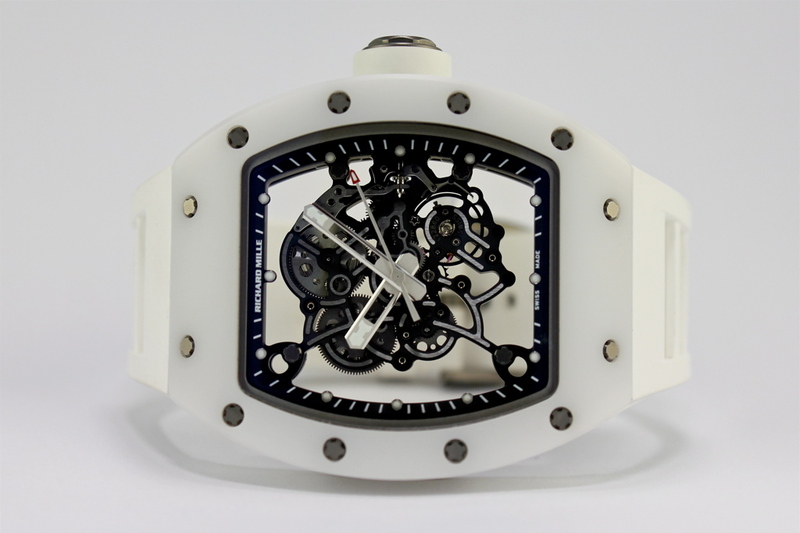 This is a design legacy conceived and implemented since the very first Richard Mille was manufactured in 2001. The upper flange is black carbon fibre with index points that are filled with luminescence. The minute flange is DLC-coated titanium with a minutes index painted in white. The thick, openwork bâton hands are tipped with luminous material. The seconds hand is tipped in red. 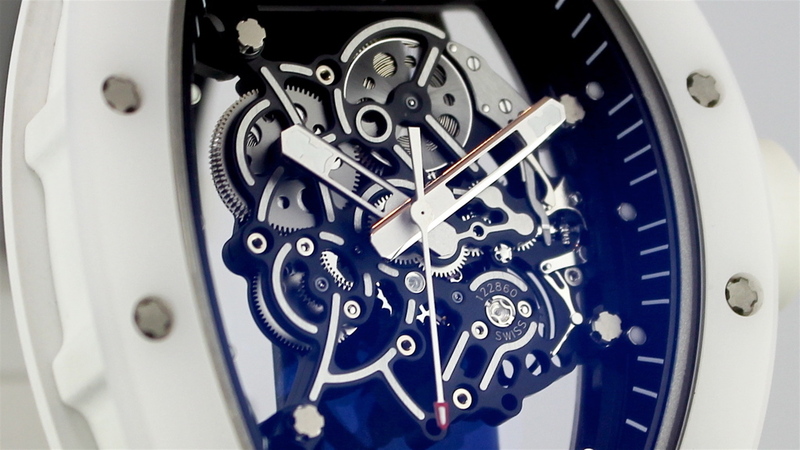 The skeletonised dial appears suspended in the case. This is accomplished by securing the dial and movement to a carbon fibre chassis mounting by four small spline screws. This chassis mounting is then secured to the case with four large spline screws. The overall effect exposes a maximum of component parts from the barrels to the gear train. Hand finished wheels, pinions, pivots and screws are visible. Hand polished angles contrast against the matte finish of microblasted top surfaces. The skeletonised Calibre RMUL2 is made exclusively for Richard Mille by Vaucher Manufacture Fleurier, a high-quality movement specialist headquartered in Fleurier, Switzerland. The 24-jewel manual winding movement is made in Grade 5 Titanium and is a further refinement in "extreme skeletonisation", meaning even more material has been trimmed from the baseplate and bridges. Indeed, the entire movement weighs just 4.3 grams. To add strength and rigidity to the openwork structure, the baseplate and bridges are wet sanded and coated with PVD and treated with a Titalyt finish. The whole assembly achieves a surface flatness essential for a reliable and efficient gear train. 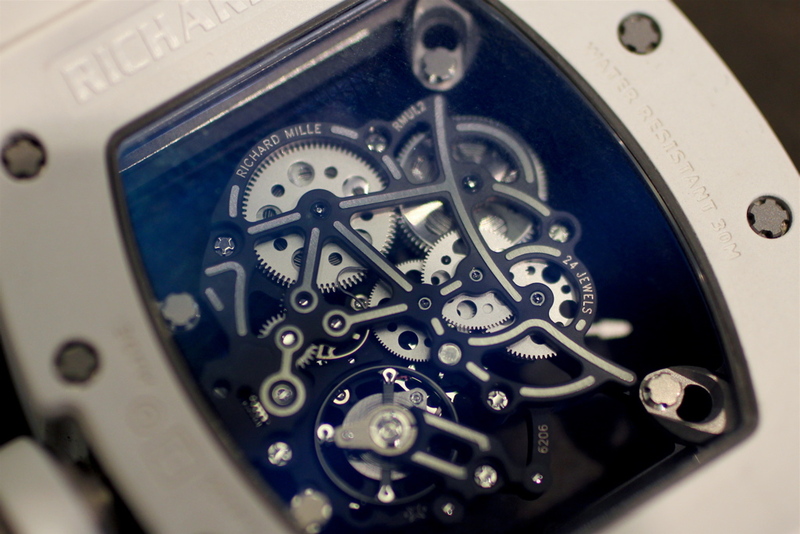 The movement is equipped with a variable-inertia balance wheel to improve the long-term accuracy of the timepiece. Notably, the regulator index is eliminated from the Calibre RMUL2 and replaced by four fine adjustment weights located directly on the balance wheel. A double-barrel also helps to improve and equalise long-term performance by dispersing the stored energy within twin-winding barrels to equalise torque, as well as reduce pressure and friction on the bearings and pivots. The Calibre RMUL2 has a power reserve of 55 hours. The timepiece is fitted with an integrated white rubber strap. Even the strap is ultra lightweight since excess material is cut in horizontal slots. 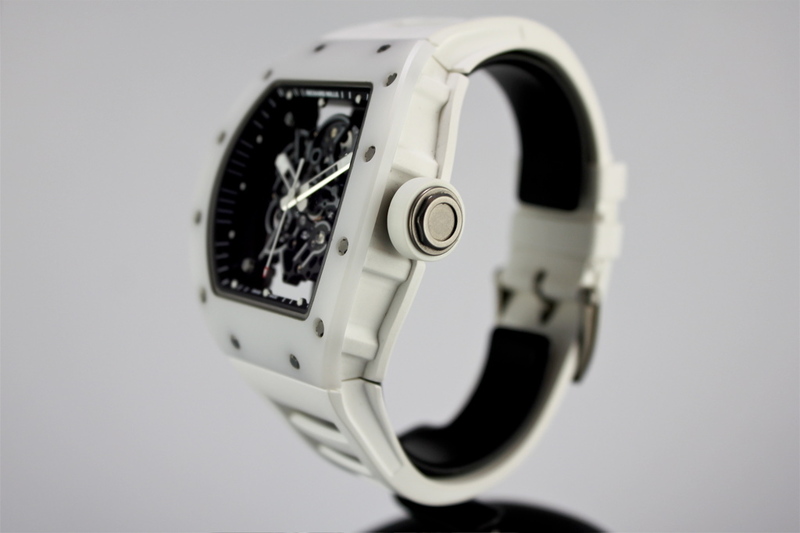 The Richard Mille double spring deployant clasp secures the strap comfortably on the wrist.